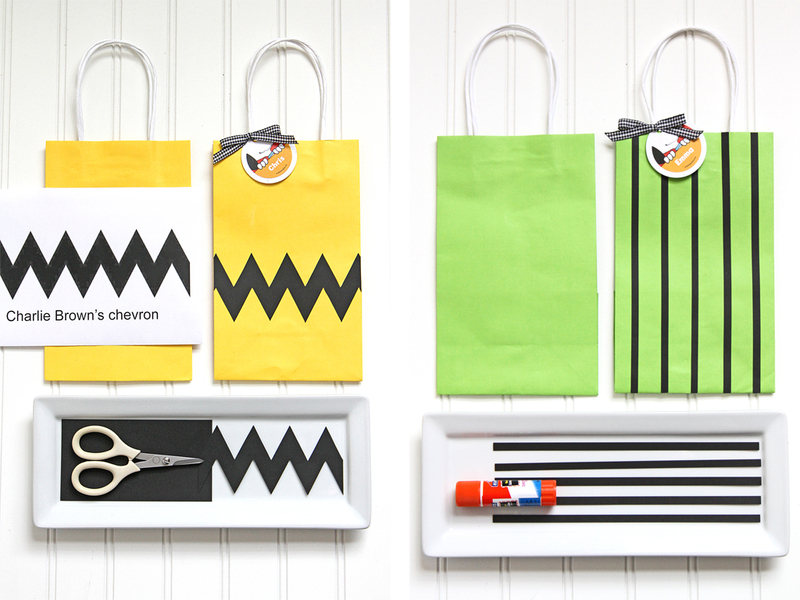 Adding special character touches to your Charlie Brown Thanksgiving gathering are easy with our DIY tutorials. 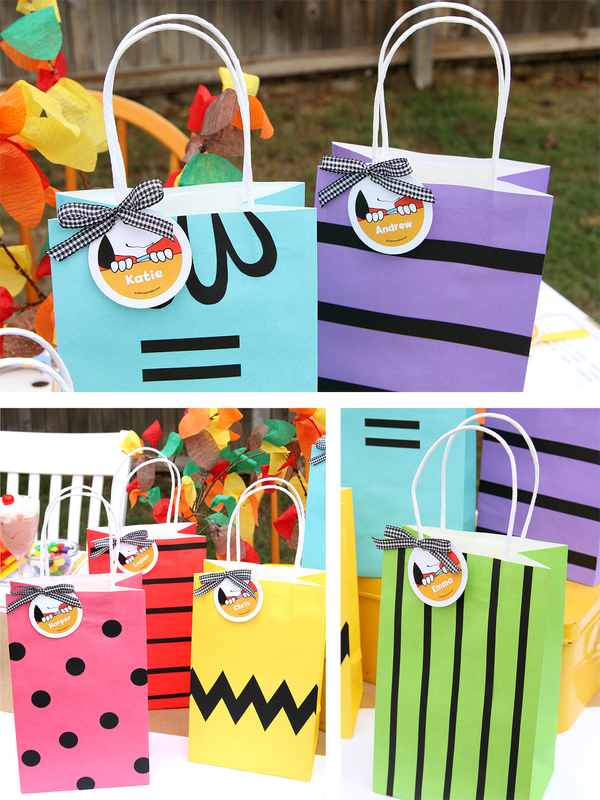 Favor bags and crayon containers designed to embody the Peanuts gang bring color and whimsy to the party tables, while the candy laden pull-string piñata enhances the fun with a sweet activity. 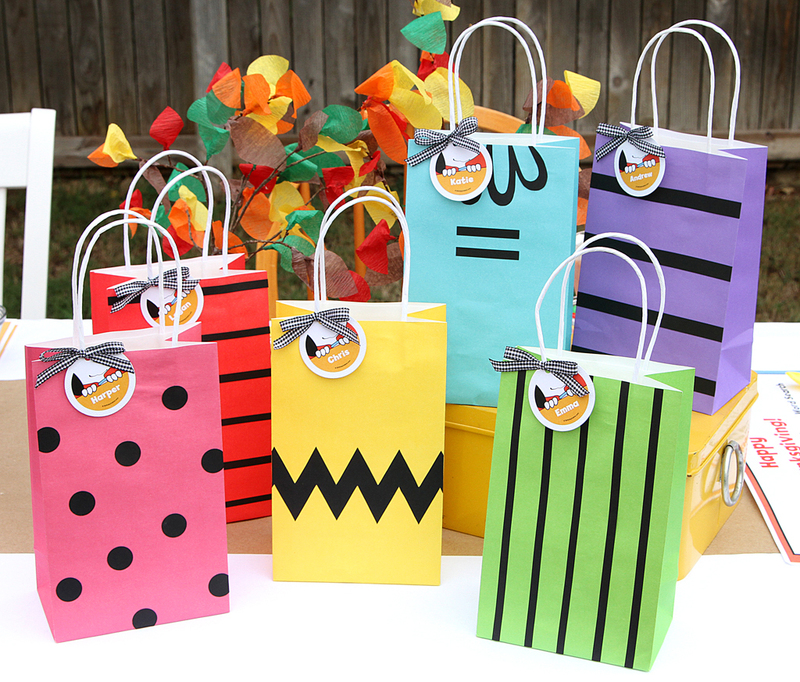 Black cardstock and some scissors are really all that’s needed to transform plain favor bags into adorable character specific loot holders. 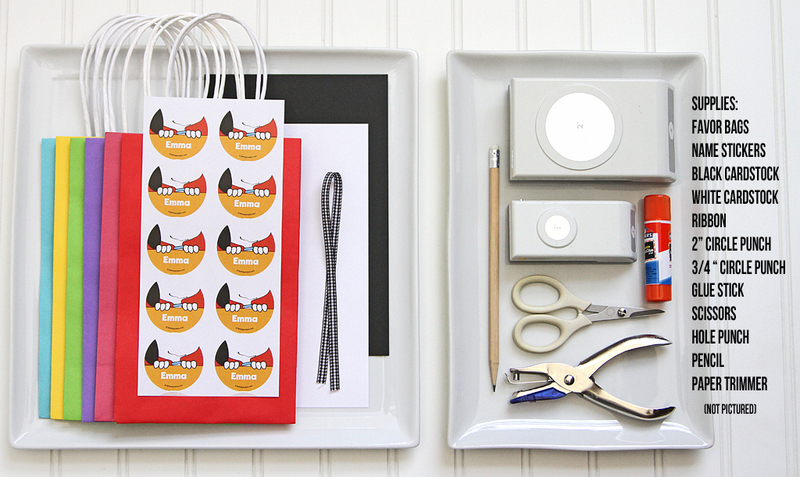 NOTE: we used bags that measure 5 ¼”w x 8 ½”h. 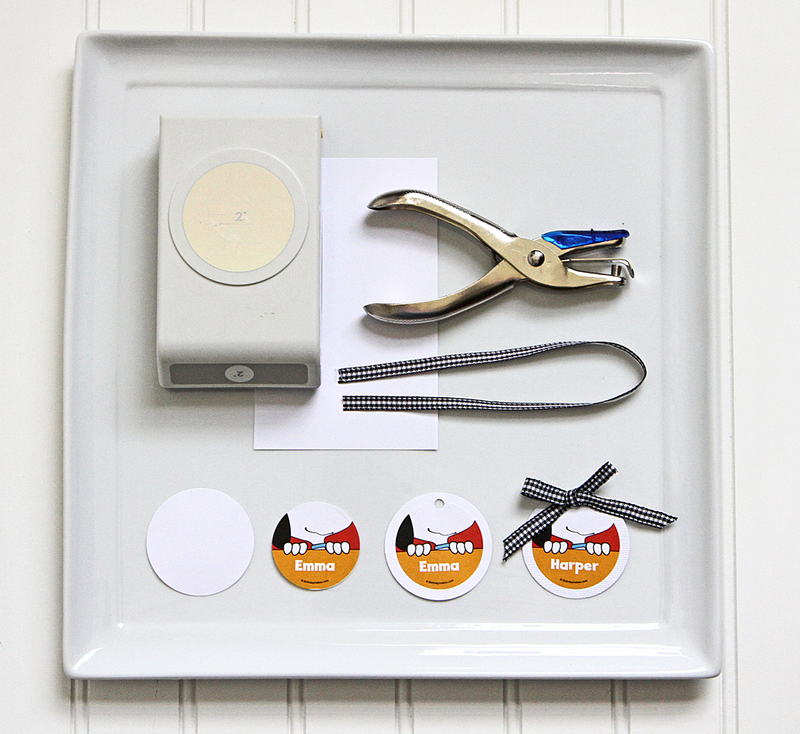 Create tags with personalized stickers, cardstock circles and ribbon. These stickers fit nicely on a 2” punched circle. 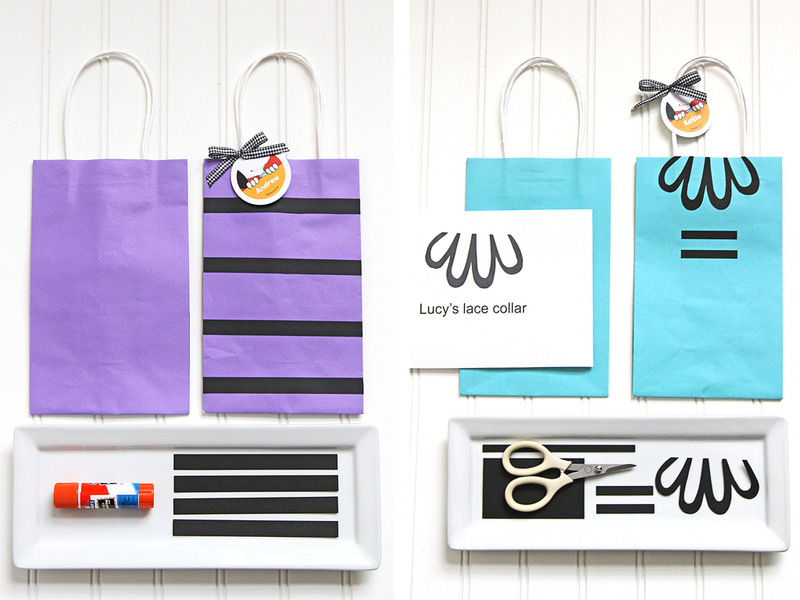 The black and white ribbon bow adds a unifying element to all the bags. 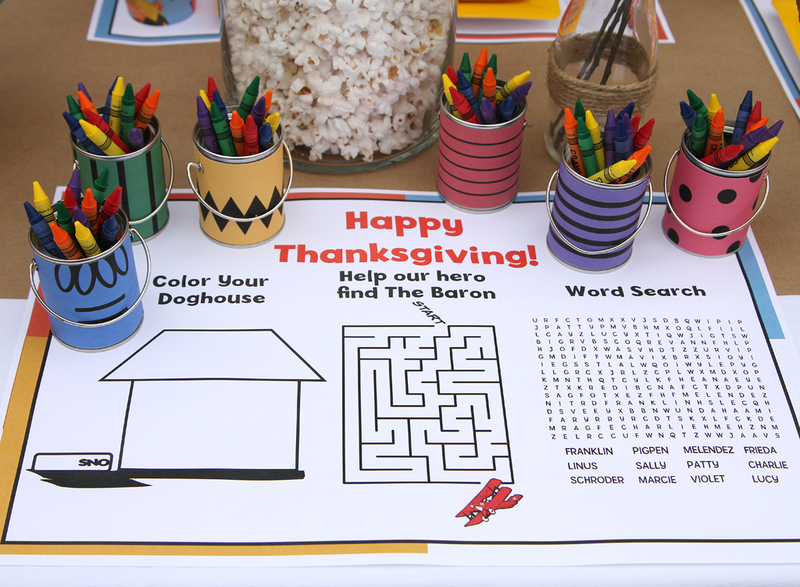 Find the printable with all the character wraps here. 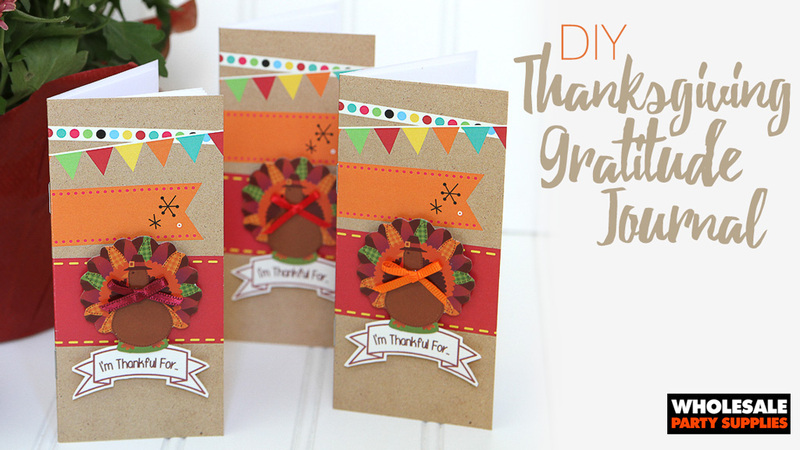 Once trimmed, they are ready for wrapping. 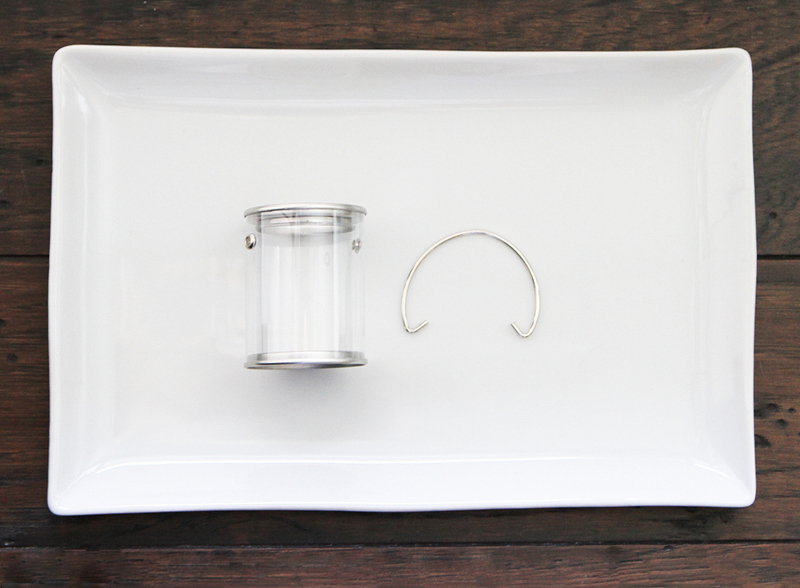 Start by removing the handle from the paint can. 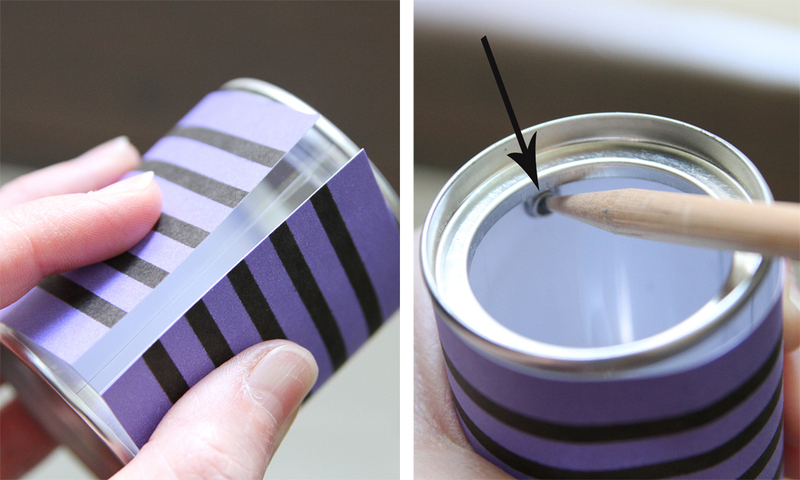 Next, wrap the wrap around the can and from the inside, mark the placement of both handle holes. 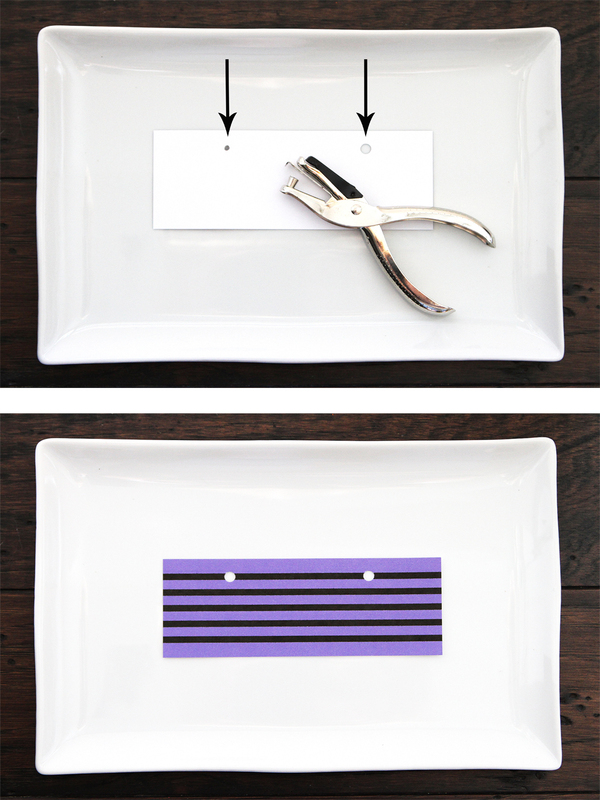 Use a punch to create holes at the marked spots. 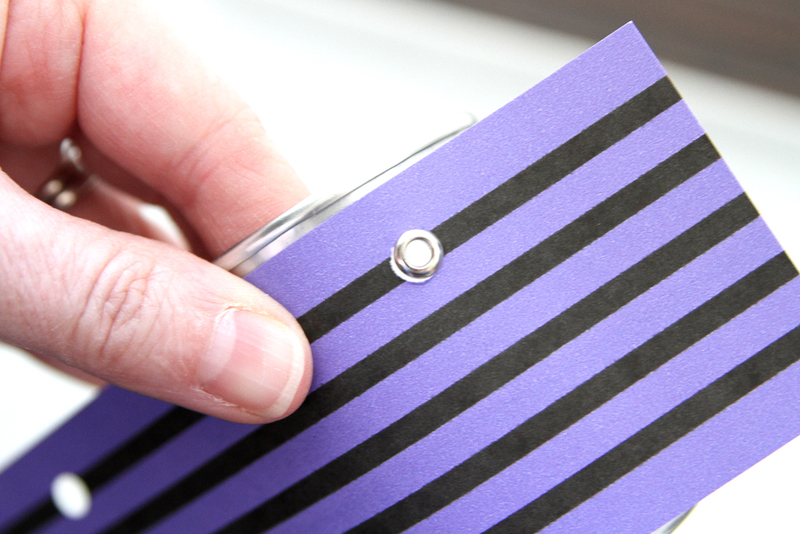 Once again, wrap the wrap around the can this time matching punched holes with the handle holes. 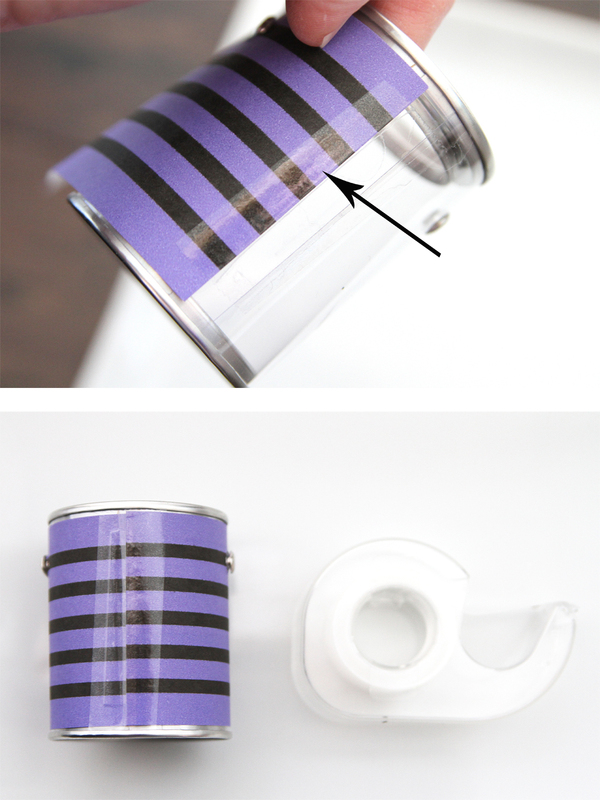 Tape wrap to paint can to secure. 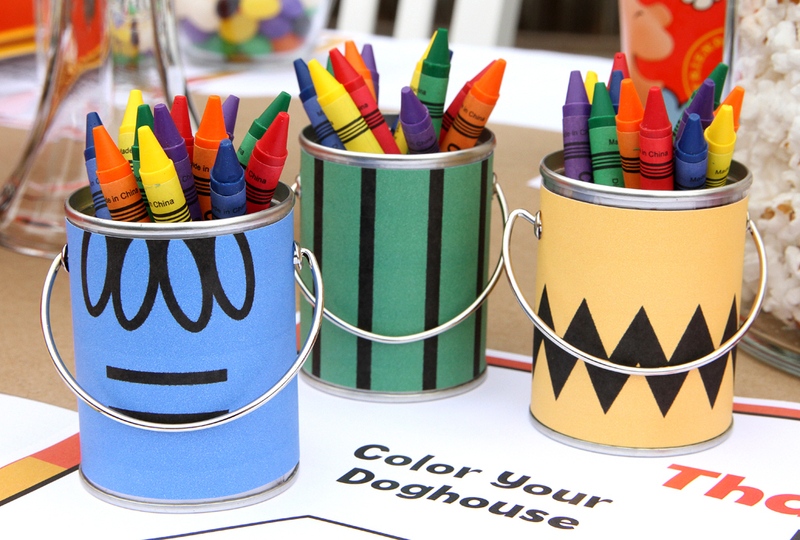 Fill can with crayons. 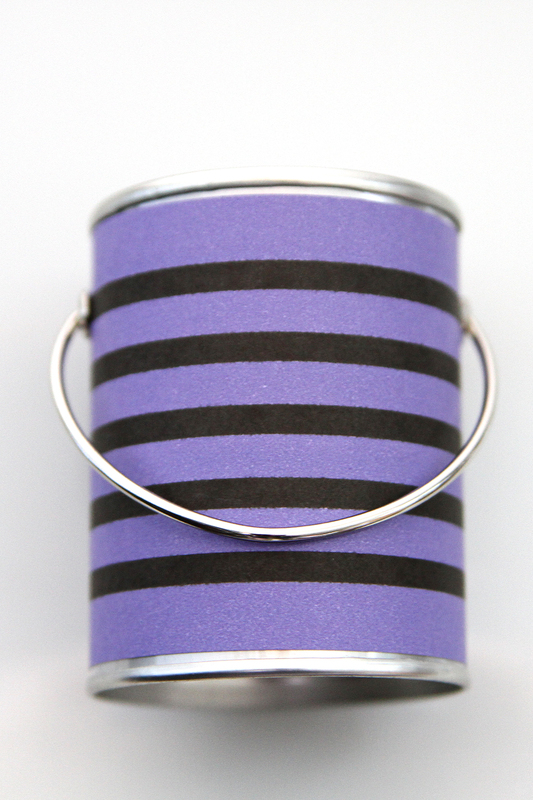 TIP: if crayons are too short to be removed easily, add rice or beans to the bottom of the can as filler. 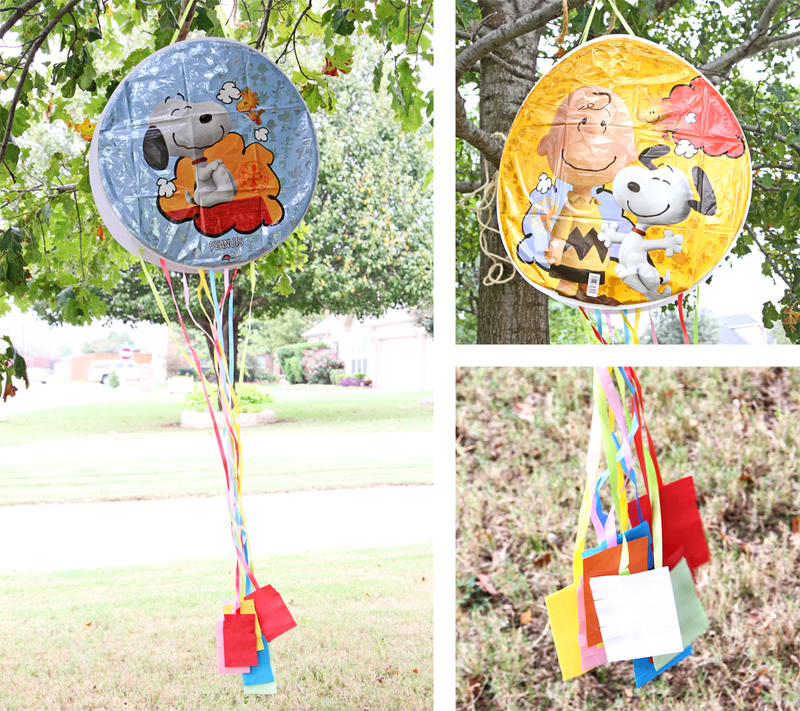 Kids love piñatas. But for little candy seekers, a traditional swinging-bat kind may not be the best idea. 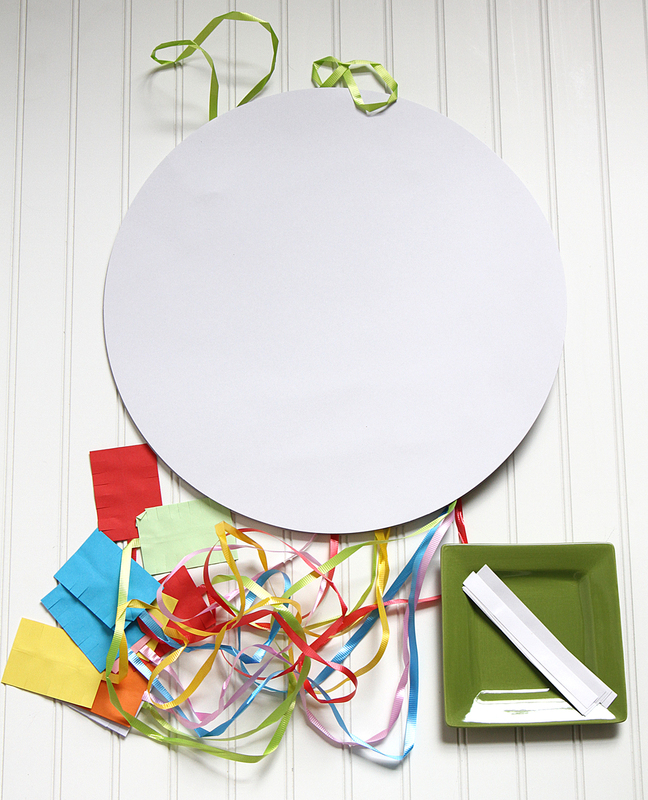 A pull-string piñata is a safe and quick way to allow even the smallest of party guests to participate. 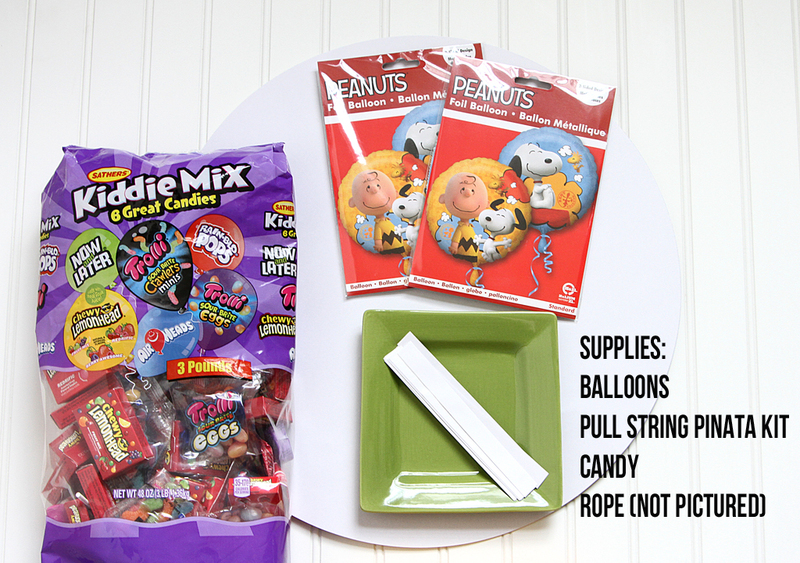 Pre-packaged kits are a fast and easy way to get to all the piñata fun. Just add rope and you’re ready to go. 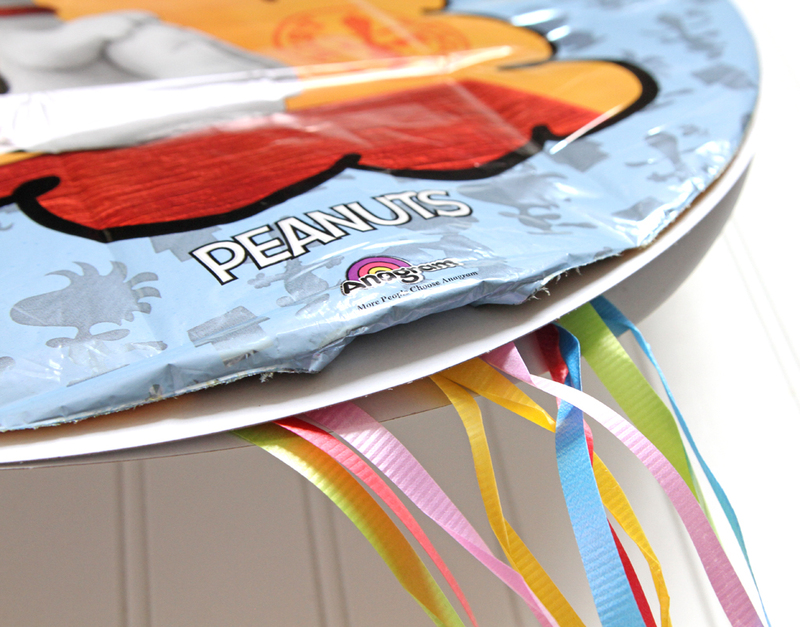 After removing the piñata base from its packaging, orient it on your work surface with the hangers at the top and the pull-strings at the bottom. 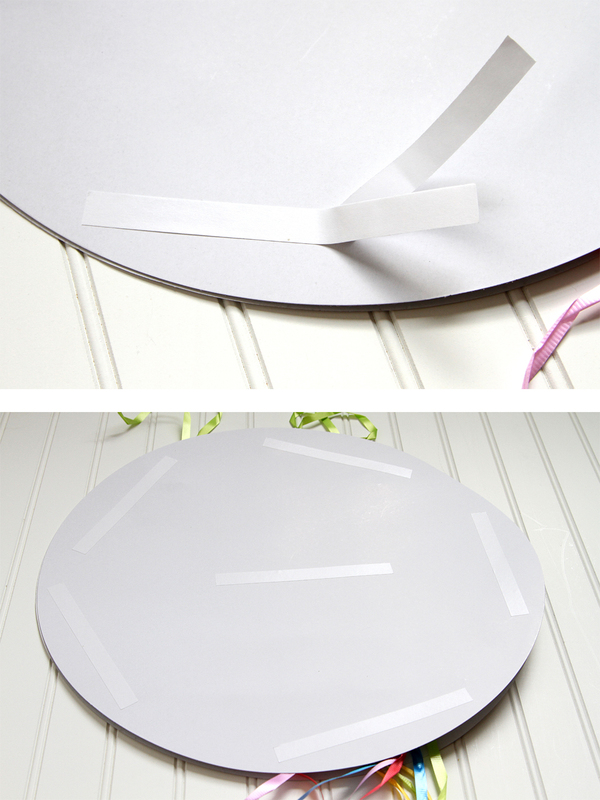 Attach six of the included tape strips to one side of the piñata base. 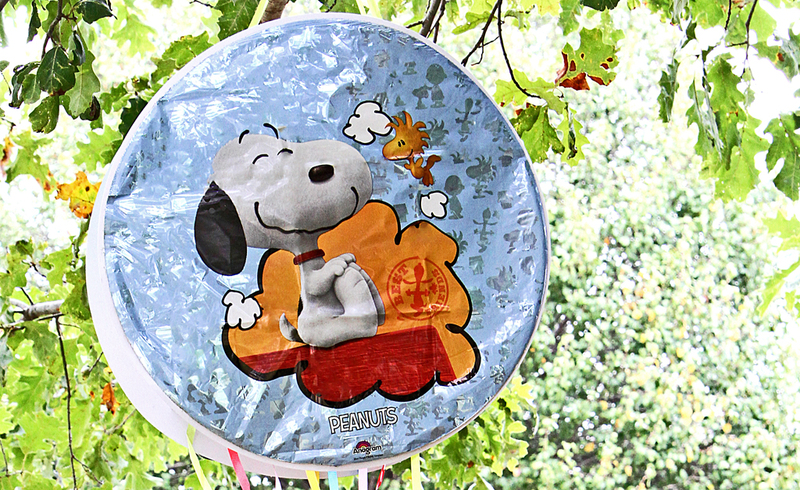 Adhere an un-inflated balloon to one side of the piñata base. 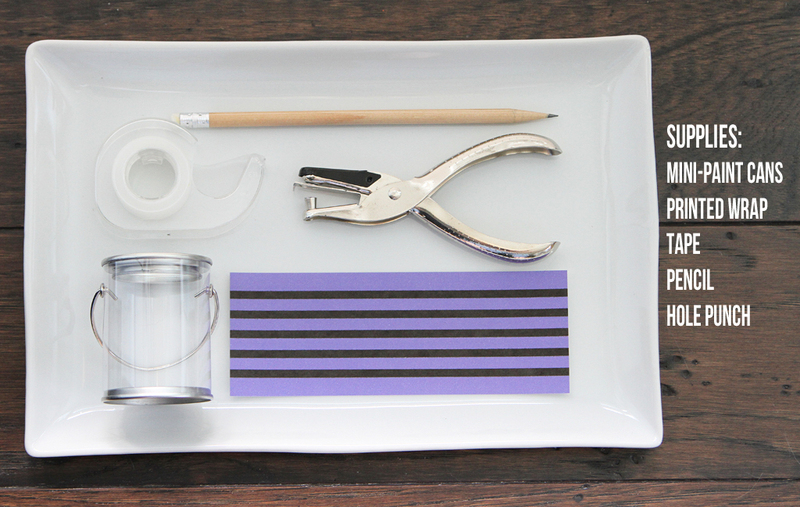 Repeat with the remaining six tape strips and balloon on the other side. 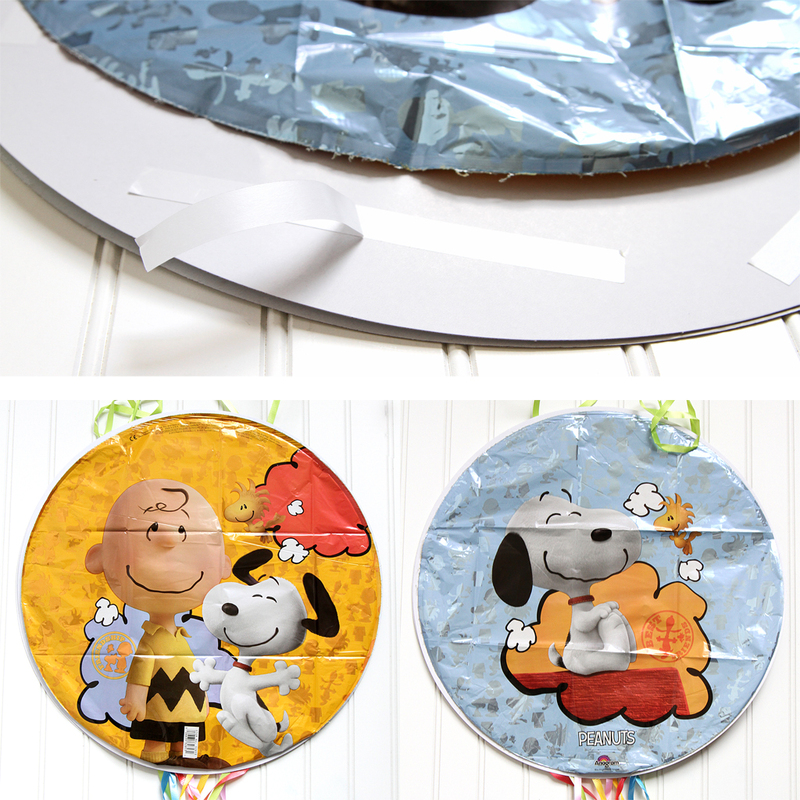 TIP: Tuck balloon tails under and catch with tape to secure in place. 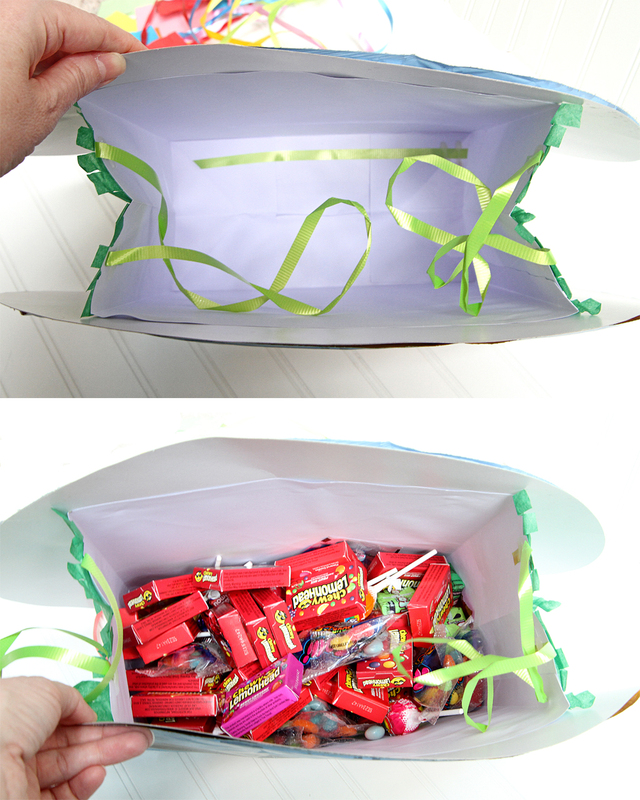 Fill inside cavity with the good stuff then hang with sturdy rope and enjoy all the exciting anticipation with sweet rewards. 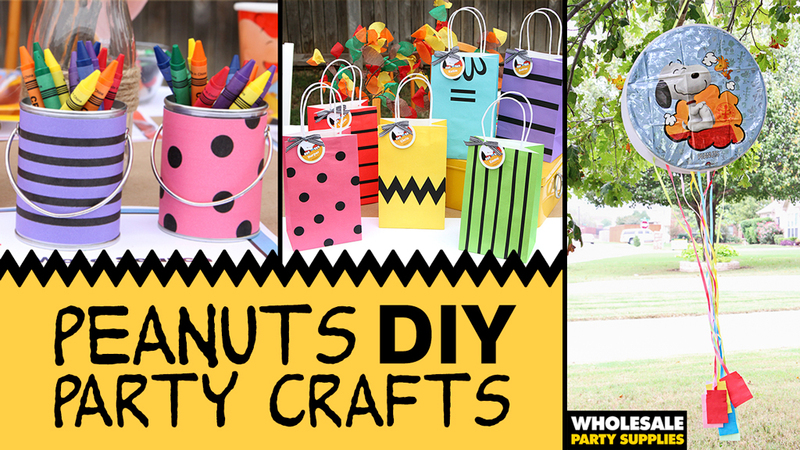 Share your Peanuts style crafts with us on Facebook, Twitter, and Instagram! 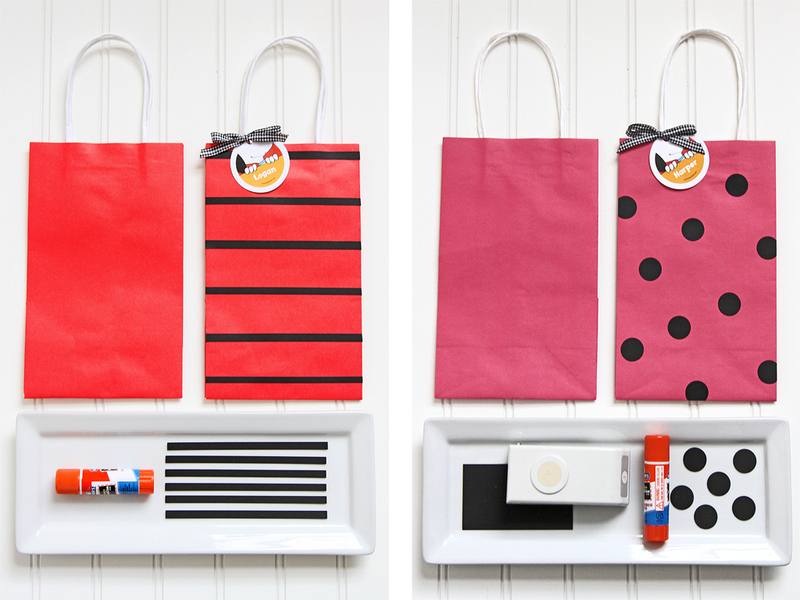 Share these DIYs on Pinterest!